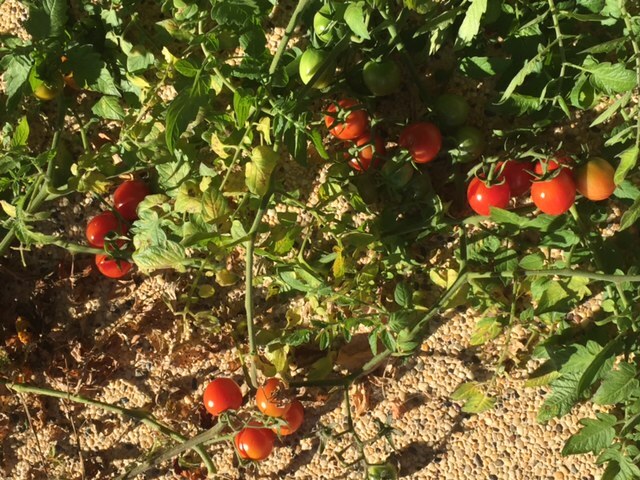 There is nothing like the taste of vine-ripened tomatoes, and this is how my neighbour, Cheryl, keeps her tomatoes cropping through winter on the Mid-North Coast of NSW. 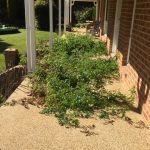 The tomato plants self-seeded in the rose garden in front of her north-facing verandah and, as they grew, she trailed the foliage across the verandah surface. 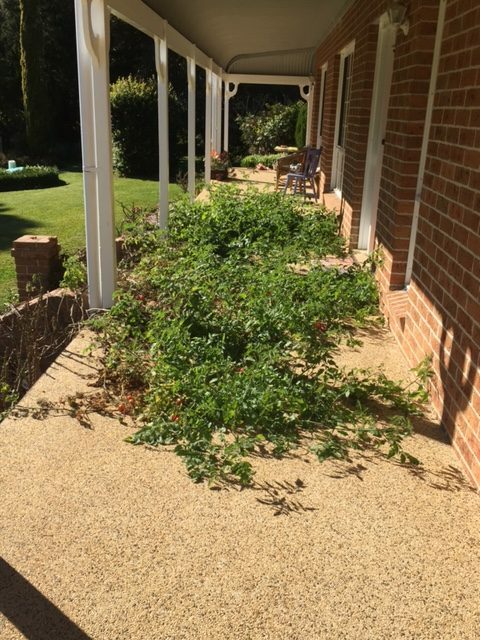 The plants get plenty of sun during the day and the verandah roof keeps the plants warmer at night and protects them from frost. This clever idea has worked very well and Cheryl has so many tomatoes, she has been giving them away. Tomatoes can also do well during the colder months in pots on a protected north-facing verandah, as the potting mix in black plastic pots stays warmer than soil in garden beds. 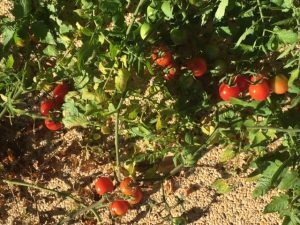 Fruiting on tomatoes depends on warm air and tomatoes do not need bees for pollination. 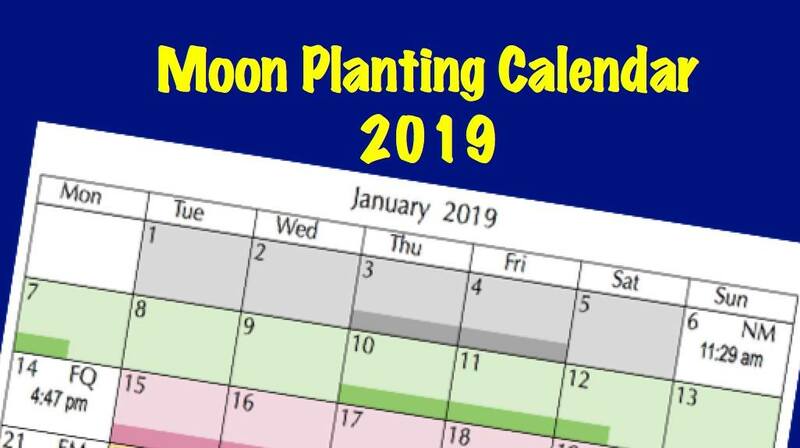 Don’t forget to water the plants regularly, and give them a light application of complete organic fertiliser as flowers start to form, to ensure a sweet-tasting crop. This entry was posted in Fruits and Vegetables and tagged Aussie gardening, Australian gardening, backyard vegetables, climate change gardening, easy gardening, easy organic gardening, environmentally friendly gardening, flowers, fruit, garden soil, gardening advice, gardening diary, growing plants, growing vegetables, Healthy soil, how to grow, Moon Planting diary, New Zealand gardening, organic fertilisers, organic gardening, plants, propagating, self-sufficient gardens, soil pH, sustainable gardening, tomato, vegetables, what to grow, when to sow, winter tomatoes. Bookmark the permalink.